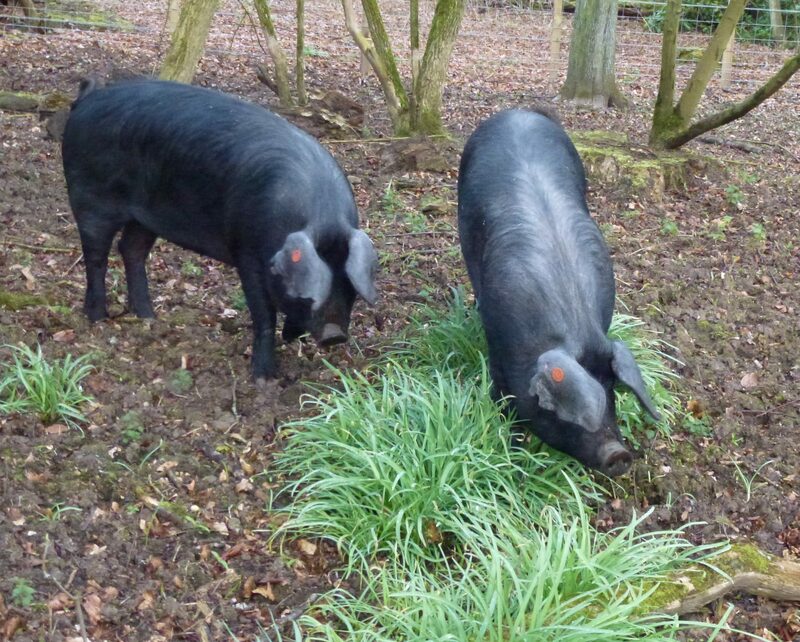 We sell pork products from our outdoor reared, rare breed, pedigree pigs. We believe that our Pork is as it should be; full of flavour and texture that will taste fantastic. We only sell pork from our own livestock. We have two breeds of pig, both are on the watch list of the Rare Breeds Survival Trust (www.rbst.org.uk) and are traditional breeds. 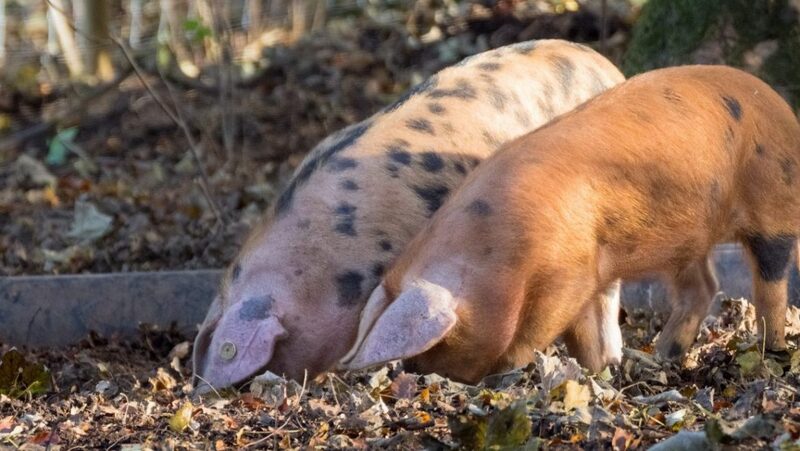 The Large Black is the UK’s only all black pig, and the Oxford Sandy & Black is sometimes called the “plum pudding” pig for its distinctive colouring. 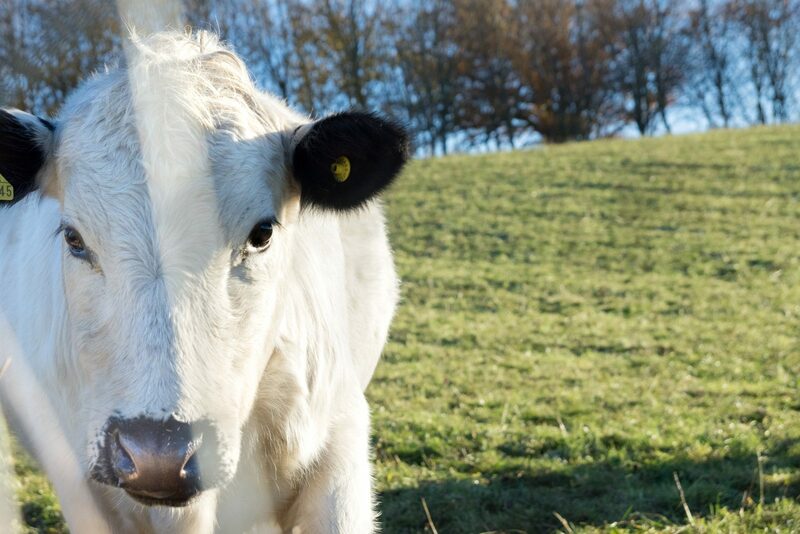 We raise our livestock in a traditional, ethical way. 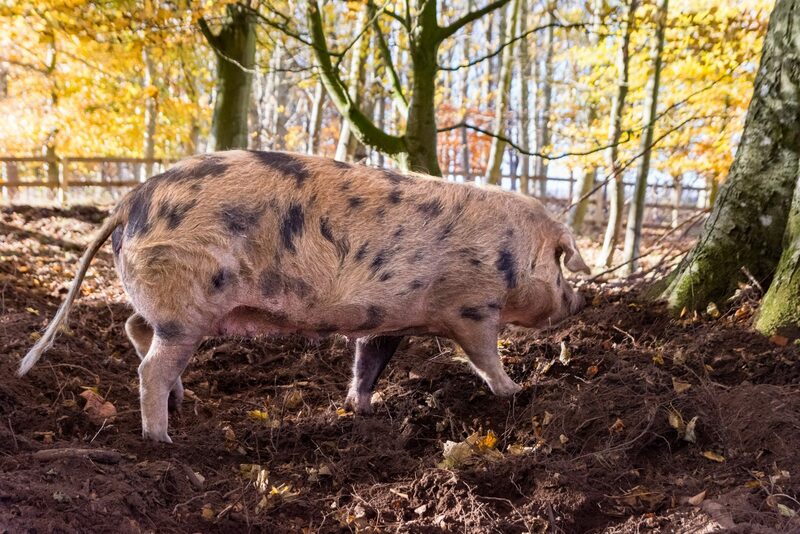 Our pigs are all outdoor reared and live in the woods where they are able to do what pigs do best – Dig! Our pork is prepared by Artisan Butcher, Minick of St Andrews. 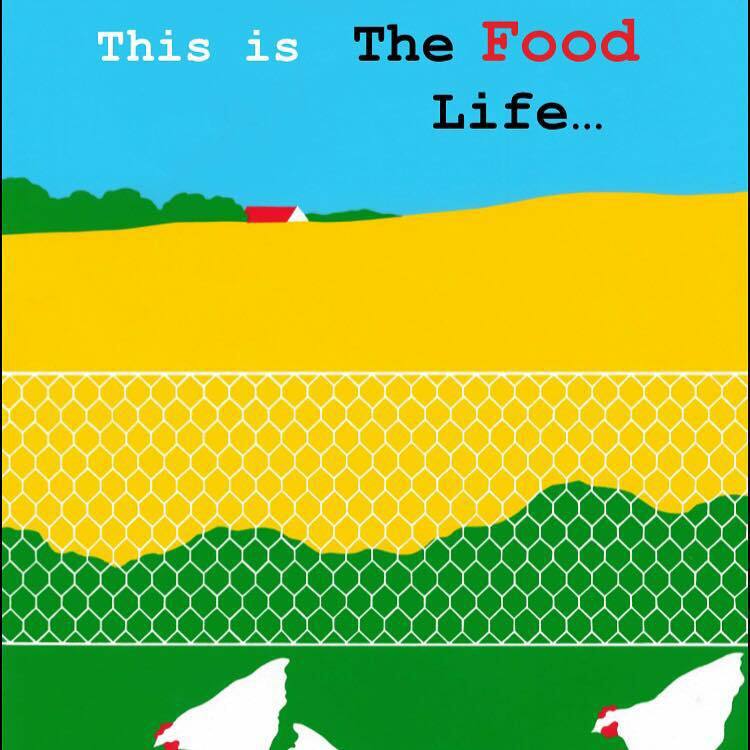 We are involved in all parts of the chain to ensure our Pork is produced to the highest quality. We deliver free to local buyers, or you can come and pick up direct from us. If you are further afield we can deliver by courier with guaranteed next day delivery. If you would like to order, then please go to our shop by clicking the “Buy now” button on the right. If you would like to know more about Parkhill and what we do, then please look through our website, and sign up to our newsletter. "I eat a lot of sausages, and I can tell you that yours were the best I have ever tasted"
Yummy!.....Honey and Mustard sausages....in seventh heaven.. The Shoulder was a superb hit. Just salt before cooking and absolutely no other flavours needed. I roasted it for 35mins per lb + 35 mins on 180. Superb dinner and gravy was great too. Really moist meat but not at all fatty! That's it, we are not going anywhere else for Pork. Awesome, juicy, just melts, lovely dark tasty meat, best Pork I have had ever tasted. Take me to the News!